What do we Mean When we say Government Enforcement has been Outsourced? On Monday, December 8, the Senate Labor Committee held a hearing on the “Healthy Workplaces Act,” which attempts to outlaw workplace bullying, abuse, and harassment. NJCJI testified against the bill. While we realize that no one wants employees to face a hostile work environment, we have significant concerns that many of the provisions of this bill will be counter-productive, generating unnecessary litigation, and causing actual harm to workplace environments. Click here to read NJCJI’s full written testimony in opposition to the bill. Several bills of interest to NJCJI saw action in the State House this week. 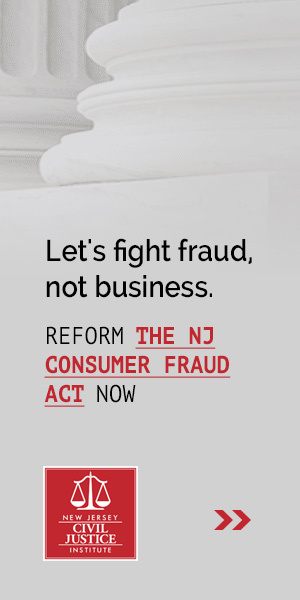 This week the Assembly Consumer Affairs Committee kicked off the discussion of one of the topics of greatest interest to NJCJI this session, reform of the state’s consumer fraud act. A207, which is being sponsored by Assemblymen Gusciora (D-15), Space (R-24), and Lagana (D-38), was drafted with the intention of ensuring that a plaintiff must establish that a technical violation caused some actual harm, or “ascertainable loss,” in order to recover attorney fees and court costs. The committee heard a wide range of opinions on the legislation and the broader debate on whether the law should be structured to encourage litigation for regulatory purposes without regard to harm, or whether the incentives should be refined to target the most egregious cases. As amended, the bill would now largely codify existing case law. It would require a plaintiff to offer some evidence of harm in order to recover his attorney fees, sufficient to survive a motion to dismiss. Click here for additional information on this issue from NJCJI. Also up in the Assembly Consumer Affairs Committee was A1892, which would prohibit rental companies from renting, leasing or selling unrepaired motor vehicles which are the subject of a safety recall. NJCJI urged the committee to amend the bill to precisely specify what remedy individual parties who rent, lease, or buy an unrepaired car, but suffer no harm from driving that car, have available to them. A statutory penalty and, as is already included in this bill, a right to exchange the car without penalty, would allow individual consumers to exchange the car and recover quickly and efficiently. NJCJI is also asking the legislature to explicitly state that individual remedies cannot be aggregated and filed as a class action. 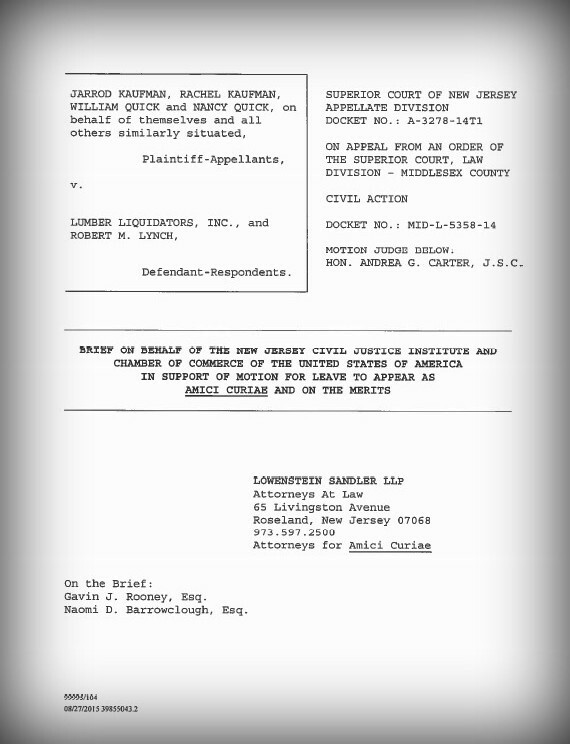 Click here to read NJCJI’s full written testimony. The Assembly Committee on Regulated Professions was planning on holding a hearing on A3699, which would regulate litigation funding providers for the first time in state history. However, the hearing was postponed. NJCJI is closely monitoring this bill, which is being sponsored by Assemblymen McKeon (D-27) and Lagana (D-38).